Enjoy a day away and experience an entertaining and educational journey through Victoria State Park. Discover one of northern Georgia’s best kept secrets as you get away from the hustle and bustle of the city and see nature at its best! Discover one of northern Georgia’s best kept secrets: Victoria Bryant State Park, nestled in the rolling hills of Georgia’s Upper Piedmont. You will enjoy a picnic style lunch featuring the likes of turkey meat, flat bread, mustard, humus, nuts and berries, and seasonal greens from our organic farm. Along the way a beautiful stream flows through the park providing the perfect setting for an after-picnic stroll. 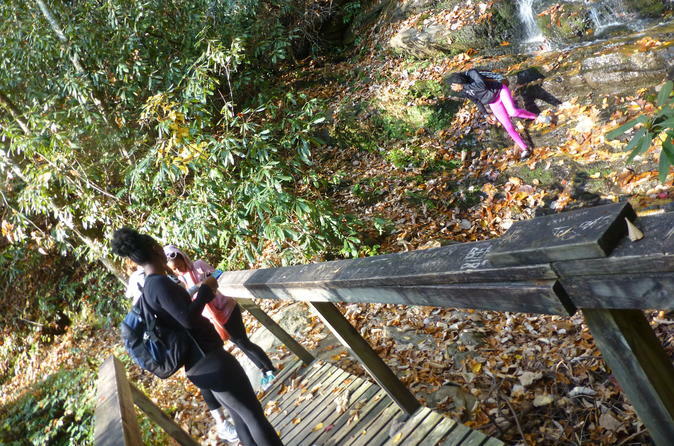 Hikers may follow various perimeter trails that travel through hardwoods and crosses creeks. Hiking is an escape back to nature while forgetting all about the day to day hassles of city life. Here, the journey is more important than the destination. As we wind down our hike, we will end this wonderful day with wine tasting at Boutier Winery, offering a collection of wines developed from local produce and select vineyards. The winery is set on nearly 32 beautiful acres planted in Vinifera and French American grape varietals.